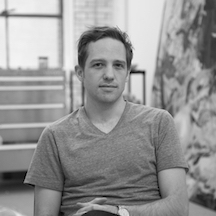 Samuel Evensen is a contemporary artist and currently a visiting assistant professor at the Pratt Institute. He was a visiting assistant professor at New York Academy of Art in 2013 and was a faculty member at The International School of Painting, Drawing, and Sculpture in Umbria, Italy, in 2012. He earned his Bachelor of Fine Arts degree from Brigham Young University and his Master of Fine Arts degree from New York Academy of Art. He was awarded the 2007 Top Merit Award from the New York Academy of Art and the Prince of Wales Painting Residency, Normandy, France. 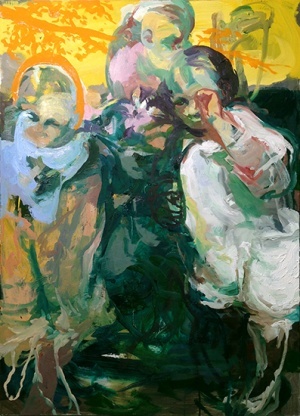 He is the recipient of several other awards and has exhibited his work in New York, New Jersey, Pennsylvania, and China. Evensen was born in Orem, Utah. As a teenager, he started painting and studying with Joseph Brickey. He is a member of The Church of Jesus Christ of Latter-day Saints. He and his wife, Arly, live in New York. This page was last edited on 19 October 2016, at 11:56.